People with diabetes have to juggle a lot of tasks to stay healthy. It's part of the game. The most important task is regularly measuring your blood sugar. That's why we made the mySugr bundle in the first place. Once you're on the plan, you'll never have to worry about running out of the supplies you need or the data you and your doctor need to manage your diabetes. First-time users of our service have a lot of questions. To help them and to help people who haven’t signed up yet, I had a short conversation with my good friend and colleague here at mySugr, Sarah Knotts. We’re going to go through what happens after you sign up in detail and give you some answers. Consider it a video FAQ on the mySugr Bundle. Check it out below. What’s in the mySugr Bundle? 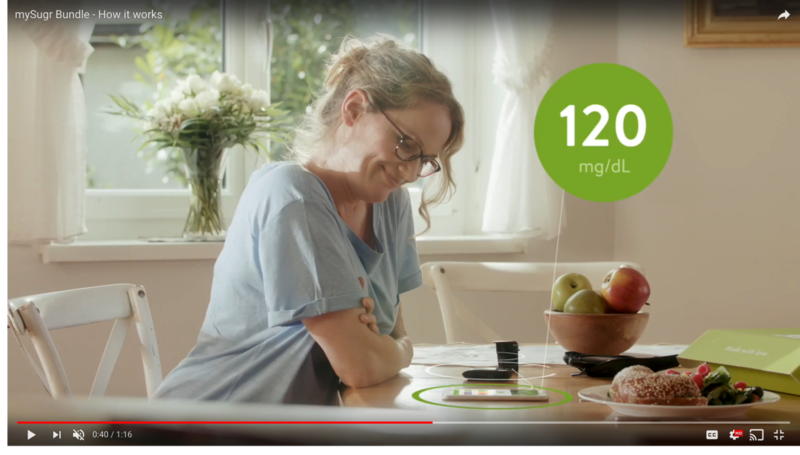 Can mySugr access your blood sugar numbers? Do you need a prescription or insurance approval? Need help pairing your meter? For those of you who don’t want to watch a video (or can’t have the sound on), here’s the transcript of the video. Scott: All right. Welcome to another episode of “Live, with Scott!” I want to send a special shout out to our replay viewers. Thank you for watching. I’m so glad you’re here. Stick around to meet this week’s guest who’s joining me right here in the mySugr studio. I also want to announce last week’s giveaway winners. Congratulations to Edna McDaniel and Gloria Garza. You just won some fun mySugr swag. We’ll send you a message on Facebook right after the show to coordinate details. Hang with us until the end of this episode to learn how you can win some free mySugr swag too. All right. Feel free to skip the first few minutes of intro and welcoming as we get going here. While we’re getting started, I’d love to know where you’re joining from today. Can you drop a quick hello in the comments and let me know where you’re watching from? That also lets me know that our audio and video feed is working for you? Before we get too far along, I need to share a quick sponsorship message. Today’s episode is sponsored by the mySugr Bundle, get unlimited strips, automatic supply refills, personalized support, and more, all for just $39.99 $49 every month [price increase as of 11/27/18]. Learn more at mySugr.com, Facebook Live. I’m also excited to share that we just launched the brand new mySugr US Instagram channel. If you dig fun stuff on Instagram, please give us a follow @mysugr_us. All right. My name is Scott Johnson. I’ve been living with diabetes for more than 38 years. I’ve been active in the diabetes social media space for about 15 years, and I’ve been with mySugr for about five years. Today, I’m excited to introduce a good friend and colleague here at mySugr, Sarah Knotts. Sarah has lived with diabetes since 1988. In fact, the diagnosis date puts a smile on her face because it’s November 22nd, 1988. Now, why is that fun for her? Because Sarah will tell you that she loves fun numbers, and when you write that date out in short date format, it’s 11/22/88, right? Sarah: Yeah. Yeah, 30 years this year, next month. Yeah. Scott: Amazing. Congratulations on that. Sarah: On Thanksgiving, of all days. Yeah. Scott: That’s going to be a good one. Now, before we get too far go into the episode, I want to tell you a little bit more about the show and ask for a couple of small favors. Live with Scott with air every Wednesday at noon Eastern time, 9:00 AM Pacific Time. Each episode will run for about 15 to 20 minutes, and I’ll be conducting you with fun guests, bringing you updates from around the diabetes space and covering topics of interest for you. We’ll also dedicate some episodes to Q&A and answer questions you send in just like in today’s show. The episodes are live, but they’ll also be recorded so you don’t have to worry about missing anything. My aim is to keep them short and sweet because I know how busy you are. With that in mind, I really appreciate you joining us. As for the favors I mentioned, if we cover anything that resonates with you, please click that like, love, or wow button. I’d really appreciate that. If you know anyone that might find this helpful, please share this with them. All right, are you guys ready to get started? Again, for those just tuning in, I’m Scott Johnson with mySugr, and joining me today in studio is Sarah Knotts. Sarah leads the US customer support team here at mySugr and has built an amazing team that stays busy taking great care of the mySugr family. Sarah, welcome. Thank you for joining us. Sarah: It’s great to be here in person. Scott: Yeah, super exciting for me. Can you tell everyone a bit more about you and your diabetes story so far? Sarah: Yeah. I was diagnosed at four years old, and I really don’t know any other life other than diabetes, and I know how it is to live with the highs and lows of both blood sugar and emotions and everything else that plays into it. It was always a dream of mine to somehow give back, and so when this opportunity came up, it was perfect, awesome. I love being able to chat with people back and forth and really have the ability to help them in any way possible, and it just so happens with the technology, which is amazing. That’s what I love to do. Sarah: Well, I like the atmosphere because it’s very laid back. Everyone knows what we’re all talking about because the majority of all of us have diabetes, so it’s no odd thing to say, “I need to go take medicine,” or “I need to go change up my pump site.”It’s not a foreign language barrier there, and you don’t feel like you have to hide that part of you. It’s a completely open sphere. It’s really awesome. Scott: In fact, we had a meeting earlier this week, and we looked around the room and realized that the people with diabetes outnumbered the people without diabetes two to one, and that was a fun moment. Scott: All right. I love that and thank you. Today, we’re going to cover a bunch of questions about the mySugr Bundle. 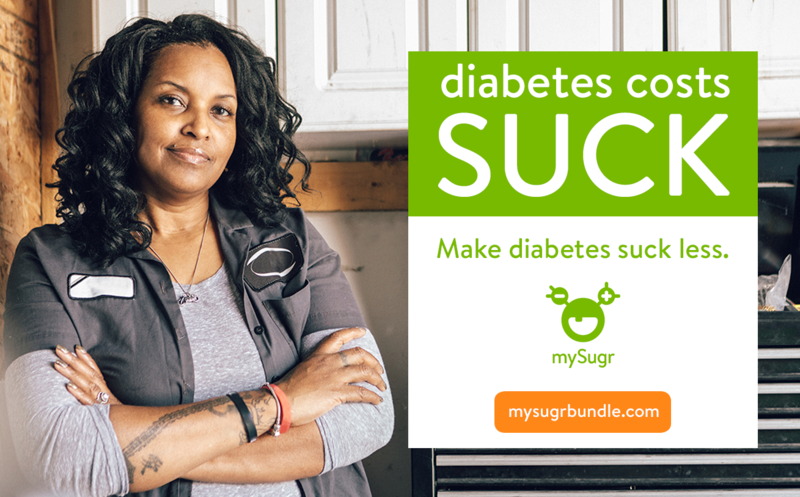 If you’re not already familiar, the mySugr Bundle is a subscription box with automatic supply refills, personalized support with your own certified diabetes educator and more offered just $39.99 $49 every month [price increase as of 11/27/18]. You can learn more about that at http://mySugr.com/facebooklive. All right, Sarah, are you ready to dive into the questions? Scott: All right. Question number one, all right, I know that I just went over what the mySugr Bundle is, but let’s make sure I got this right. Can you talk about what’s in the mySugr Bundle? Sarah: Yeah. When you order the Bundle and the box comes to you, when you open the box, it’ll have the Accu-Check Guide blood glucose meter. It’ll also have 250 test strips for that meter. It’ll have a sample box of lancets, and you’ll also have, of course, the lancet device in there. Scott: That’s great. In fact, I’m going to grab a mySugr Bundle box that’s here in the office that we can show you. I’ve got some help off-camera. Sophie, maybe, if you can go grab the mySugr Bundle box, the green box that’s on the counter right behind the desks. Awesome. It’s amazing having help here. I love it. Sophie is amazing too. She’s a new intern that just started. Scott: All right, so you get set up with this kit, and it’s got almost everything that you need to get going with that. It includes a mySugr Coach service and mySugr Pro as well, right? Scott: What if you’re already a Pro user, and then you sign up for the Bundle, what happens there? Sarah: You would need to go into the app or Google Play store to go ahead and cancel that service because it’s not something that we automatically cancel for you. Just go in and cancel it, and then your Pro will continue from the Bundle subscription. Scott: Awesome. Yeah, that’s an important one. I wanted to just show a quick … This is a starter kit Bundle box that comes with … You’ll get this shortly after you sign up, and we’ll cover a little bit more about that. When you open it up, what you see inside is a little instruction book, and then … Yeah, a bunch of strips, Accu-Check Guide meter, a FastClix lancing device, and a sampler starter box of lancets. There are 102 lancets in there. For me, that would last a lifetime. Sarah: Yeah. Scott: Yeah, but we’re kind of jumping around a bit. I’m jumping around a bit, but it’s important to note that the strips are unlimited, and they come automatically. We’ll cover a little bit more about that too, but if you are one of those people with diabetes that is better than I am at changing your lancet, the lancets are not currently included in the replenishment kits or refill kits. If you need more lancets, that’s a piece that you can just pick up at a local pharmacy or even Target, Walmart, those kinds of places often have those. Sarah: … Like a bulk amount if you go ahead and order enough for a thousand lancets, so you could get a big discount. Scott: Yeah. Awesome. Oh, yeah, that’s smart. Okay, so let’s talk about how the service overall works, right? Maybe you can jump into what happens when someone signs up. Sarah: Yeah. Sure. When you sign up in the mySugr Bundle funnel, as soon as you sign up, in your app, the mySugr Pro and Coach are already activated. It’s done as soon as you sign up so you can go ahead and start it, asking questions if you have questions, that kind of thing. The Bundle does take three to five business days to arrive, and it’s coming through FedEx. When you get the box, just go ahead and take out the Guide meter. We have that little instruction booklet in there. It tells you how to pair your meter with your smartphone. Then when you pair your meter, and then you start checking your blood glucose values, then we start tracking how many strips you’ve used on the backend. We’re not keeping track of what your blood sugar is. Sarah: That’s very private. That’s your diabetes, but we just track how many strips have been used with that Guide meter. Sarah: When we see that you have about two weeks left based on how many strips you’ve used and how frequently you’re testing, then the system automatically ships out more to you. It’s based on how many you need for your personal diabetes management. Scott: You’re saying that all I need to do is make sure that my meter is paired, paired with the mySugr app. That allows you guys to see how many test strips I need when I’m running low and when I need another order. Did I get it right that I don’t need to call and ask for more or press a button and place an order? mySugr knows. We know and automatically send more. Sarah: Yeah. It’s all automatic. It’s magic. Scott: That’s amazing. I love that. As someone who has used the mySugr Bundle before, I love the fact that I don’t have to think about … I don’t have to think about my test strips supply or when I need to place an order, anything like that. I can get back to checking my blood sugars, and that’s what’s important. Scott: mySugr takes care of the rest. Scott: I love that. What if I use a bunch of strips? Is it really unlimited, or will you charge me more if I use more? Sarah: It’s really unlimited, and you can use as many as you need, and then, for some people, testing habits change based on different parts of their life. You may need to test 200 times one month. You may need to test 300 times the next month. It can vary just depending on different things. Sarah: Trips, being out of town does a lot of stress to you. Sarah: We keep a track on that. Sarah: We see if you’ve increased the number of times you’ve tested. We see if you decreased any amount, and that’s what we use to base your next shipment on, but your price stays the same. Scott: That’s great. That’s great. What about a prescription or insurance? Do I need a prescription or insurance, any of that stuff? Sarah: No, it’s what we call direct-to-consumer, so when you subscribe to the Bundle you sign up for yourself. You don’t have to have insurance. You don’t have to go through insurance if you have insurance, and then some people can go to their insurance provider and see if they can get reimbursed for it. We have had some people who use HSA of FSA cards. Sarah: Then in that situation, you would just need to check with your benefits provider to see if they would do that reimbursement for you. Sarah: We have some who do that. That’s one way around it if you have that type of option. Scott: Sure. Yeah. Okay. That’s good to know. You mentioned that when I place an order, it’ll be three to seven, three to five days before that awesome green box shows up. What do I do once I get the box? Scott: Because that’s what ties it all together. Sarah: That is a very important part of it so that we can be sure that the strip count is going to the Bundle subscription. All that ties together on the backend. Yeah, you just go ahead and pair it with the mySugr. It has to be the mySugr app so that we can track those things. It can’t be with another app and coming in from a service like Apple Help or something like that. It has to be through the mySugr app. Scott: Yeah, and does that also apply in terms of manually entering my numbers or that type of thing? How does that work? Sarah: Yeah, so manually entered blood glucose values won’t be verified on our site, so we won’t know that that strip was used in the Guide meter unless Guide meter actually verifies it in the app. You can see that whenever you import a value, there’s a little star in the upper right-hand side, and then if you click on the value, you can see that it’s been verified by the Guide meter. Sarah: When you see that, that’s what we see on our side. If it doesn’t say that it’s been verified by the Guide meter, we don’t count that towards your strip count. Sarah: We can’t replace that strip. Scott: Yeah, so that’s, I think, an important thing to mention that you have to be paired with the Accu-Check Guide and mySugr, and those uploaded Bluetooth-connected readings are how the magical system keeps track of test strips and knows where to send more. No manual entering, uploading into other apps or computer programs or whatever. It’s got to be on the smartphone into mySugr with the Accu-Check Guide. That’s what keeps the whole thing moving along. Scott: What’s nice about pairing with the Accu-Check Guide like that is that, well, I had a situation where I was out of town, and I misplaced my meter. I know. It happens from time to time, but because we’re using Accu-Check Guide, I was able to just run to the nearest drug store, pharmacy, wherever, and grab a new one, and get that paired up and synchronizing again. Scott: I like the fact that we’re using something that’s just out there, commonly known and trusted and available, so that’s great. Sarah: Yeah. Well, and the same for the strips too. I would be the one to leave the strips behind, not pack enough strips. The strips themselves over the counter, 450 count is like $27 or $28, which is relatively good compared to some that are like double and even triple that. Scott: Yeah, super good compared to a lot of the others. Yeah, big shout out to our friends Accu-Check for taking a brave step in this new world of test strip pricing and that kind of thing. You guys have done an amazing job. Can we talk a little bit about … This is a subscription service, how often do the strips come? What’s the billing? Tell us a little more about that. Sarah: Yeah. When you sign up for the Bundle, the day that you sing up is going to be your billing date every month. It is a monthly subscription. If you signed up today, October 3rd, your payment will be the 3rd of every month. We don’t have a way to change it on the backend, unfortunately, so if you are looking to order the Bundle, be sure that it is ordered on the date that you would like to have it come out of your account or charged to your credit card. Make sure it’s on that date. Scott: If I need to wait … Let’s say I want my monthly charge to happen on the 15th when I know I’m going to have a paycheck, I should place my initial order on the 15th because that’s the date that starts the cycle. Scott: Okay. Talk about how often strips come. I’ve got that start box. That’ll get me started. Also, when I check my blood sugar as I normally would with those, that allows the magical system on the backend to get a feel for what I need in terms of test strips. Scott: What happens next in terms of the supplies? Sarah: After that first box, it just really depends on how often you test. We try to … We send a set amount, the 250 test strips in the initial box so that we can get a feel for how many you’re going to need over the next three months. It’s okay if you go through those really fast or really slow. Sarah: It’s all based on what you need. When we get a good idea of how many you need for three months, then your next shipment should have what you need for the next three months. That helps us keep the cost of the Bundle low so we’re not shipping out every month. Sarah: It’s not always on a set date. It will come in about two weeks. Scott: It’ll be whenever the system sees that I need more, but the typical cadence is quarterly. As you talk about earlier, if I need more or less, the system is watching and automatically adjusts and take care of me. Scott: I love that. I love that. You talked about the payment date. That’s, I think, an important thing for a lot of people. What payment forms are accepted? Sarah: Right now, it’s Visa, MasterCard, and American Express. Scott: Okay. Is there a contract? Do I need to commit to a certain amount of time? Scott: Options with life with diabetes are a good thing. Scott: Can I get strips for a different kind of meter? What if I already have something else and I’m using that? Sarah: Right now, it’s only the Accu-Check Guide, so we would only be able to provide the Guide test strips. Scott: Got you. Okay. One of the things that is also included in the mySugr Bundle is mySugr Coach. Scott: That’s really cool to me. I feel like I have a CDE in my pocket that’s available all the time, right? Scott: If Uber put a taxi in your pocket, the mySugr Bundle puts a CDE in your pocket. Scott: Can you tell us a little bit about what types of things the mySugr Coach can help with? Sarah: Yeah. If you have questions, maybe, around diet or exercise or maybe you’re starting a new medication. For me, I recently switched to Humalog. I was on NovoLog before, and so I messaged my coach. I’m like, “Hey, I’m fixing to start this new one, so what do I need to expect? What things might happen?” Even though they’re very similar, I know that for some people, it can be a very different type of insulin. Sarah: It’s great to have that ability just to fire off a question, and then get a response within a business day. Scott: That’s amazing. All right. We have covered a lot of ground. Thank you for all of that information. Scott: As a special thanks to all of you watching, I have two special mySugr shirts I want to give away. To enter, leave a comment, and let Sarah and I know if you found today’s episode useful. Before next week’s show, I’ll randomly pick two lucky winners and announce them during the start of the broadcast next week. Once again, today’s episode is sponsored by the mySugr Bundle. Get unlimited strips, automatic supply refill, and personalized support for just 39.99 a month. It sounds like an awesome deal. Learn more at http://mySugr.com/facebooklive. Thank you so much for joining today. Please share this with your friends. Give us a like on Facebook. Don’t forget to follow us on the new mySugr US Instagram channel. That’s @mysugr_us on Instagram. Turn on the notification so that you won’t miss upcoming episodes of the show. Thank you again, and I’ll see you next time.